The SimplytheBest Gold Award for Excellent software. PlanMagic has been awarded with Best Construction Finance Planning Software. Build is a comprehensive source of industry information. 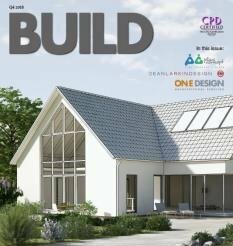 Covering all aspects of buildings, infrastructure and related works, the magazine highlights everything related to corporate social responsibility across a vast number of sectors, including, but not limited to: new-build and construction, property and asset management, design and architecture, project management and procurement, mechanical and electrical, energy, utilities and civil engineering. This review at least places one of our business plan programs PlanMagic Business as #3. Please note they did not review nor consider any of our business specific programs. "Take the pain out of writing a business plan and let PlanMagic do the work. Pre-defined spreadsheets and automatic calculations make doing your financials a snap". "PlanMagic is an interesting offering. While several of the other products can use Microsoft Office (if it's available), PlanMagic requires it, as it consists of Office documents in the form of Word text and Excel spreadsheets. Even the documentation is browser-based, supplied as HTML pages, though you can navigate the documentation using a non-Microsoft Web browser. If you have PowerPoint installed, PlanMagic can even use the completed plan report to automatically construct a PowerPoint presentation for your clients to use. Rather than wizards walking you through the process, most of the work has already been done in the form of almost-completed documents and spreadsheets. Just slot in the appropriate text in the Word docs, and the desired numbers in the spreadsheets, and the plan is pretty much finished. The spreadsheet templates come complete with macros to perform detailed period-by-period analyses, charting and formatting printed reports. The software even has the ability to perform exchange rate computations if you anticipate your client operating abroad. The Advanced Edition that we reviewed comes with several templates for a service, retail or product-oriented business, and PlanMagic has a number of other templates available. You may not get the hundreds of templates that some of the other plan-writing products provide, but in the real world, you probably don't need more than several well-written templates". PlanMagic Business provides comprehensive and largely complete template plans that, when finished, provide the professional appearance and detail that plan users expect to see. Review by Ziff-Davis Publishing Co.
"PlanMagic Business contains document templates and a financial workbook to help you organize a comprehensive business plan. A walkthrough user interface is included to describe the use of each of the modules, which include plan, profit and loss, balance sheet, statistical data, investment budget, organizational structure, sales, cash flow, profit and loss forecasts, time table, and a graphical presentation. Some information is omitted and some documents are password protected to encourage registration, but this trial version offers enough formatted information to see the level of quality being provided.". "Creating a business plan may be tough, but PlanMagic Business can help. It includes a series of Word for Windows documents and a financial workbook to help you build a comprehensive business plan. PlanMagic Business gets your business plan written using a clear HTML guide and a detailed set of Microsoft Office templates. If you've been having a tough time getting your business started, here's a good guide to thinking the process through and getting it on paper. The browser view describes each of the subjects, including the basic plan, profit and loss, balance sheet, statistical data, investment budget, organizational structure, sales, cash flow, profit and loss forecasts, time table, and a graphical presentation. Read the description organized by major document headings in your browser, then click on the links to launch Word or Excel. Enter your data in the template, add appropriate text for your business ideas, then see the OLE-linked data consistently presented throughout the formatted and organized business plan. Until you register, some forms are restricted, but there's enough displayed here to convince you to register." "PlanMagic Finance Pro is a specialized financial analysis and planning tool from a company oriented toward business and financial planning, particularly for small to medium sized enterprises. Its value to financial planning professionals lies in its ability to quickly and easily generate financial models related to business performance and providing dynamic analysis tools for each year of the planning period. The software itself is straightforward - it uses a browser-based HTML guide, and its financial workbook is in MS Excel. Data is entered based on a detailed core set of assumptions, and the software allows creation of up to 10 product lines with an unlimited number of products per line. A Windows and MS Office-based product, PlanMagic Finance Pro provides an array of tools such as detailed investment budget, personnel plan, sales estimates, cash flow projection and automated balance sheets. The workbook further comprises of many automated charts, automatic completion of business financials in sequence, operations in various currencies, and includes automatic calculation of US sales tax, EU VAT, and GST type sales tax systems. For financial analysis, tools such as DuPont ROA/ROE dynamic analysis tree, dynamic sensitivity analysis, and break-even analysis per product line are included. The standard version can be used for up to 5 years of detailed financial planning and analysis. A specialized tool such as this normally would have a stronger following among accountants working on building a business or assessing its financial health than on meeting the needs of a wealth management client. But such analyses are also critical and often overlooked parts of the financial planning process for small to medium sized business owners in the mass affluent and emerging affluent segments of the market. PlanMagic Finance Pro meets this need with a minimum of fuss or bother, with data that can be easily integrated into the client's financial plans. ".